← HADIT.COM RADIO SHOW–PART II ON DM 2. After five and a half years, the battle for the VA ILP greenhouse is over. We met at Appomattox@va.gov Friday morning and began the final dance. 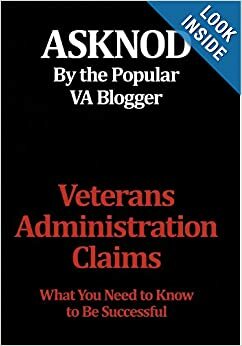 I felt the VA was now past the suspense date and was prepared to treat it as they do. Sorry, Charlie. You had ninety days to do it. You’ll have to start over again with a new rationale for denial. I’m headed back to the CAVC. My regular Vocational Rehab Counselor abruptly bailed out on Wednesday last and said he was incommunicado until the 19th. That was mighty convenient right in the midst of hammering out a mutual plan. In his stead, he handed me off to the Seattle Head Poohbah of VR&E who never answers my emails. Not this time. It was like the damn had broken. Diarrhea of the mouth doesn’t describe it. His majesty the Poohbah promptly emailed me back and asked for a phone call. He was almost in tears and wanted this problem concluded before the end of the day. He begged for this based on Columbus Day being a National Holiday which legitimately granted him one more 24-hour window to strike a bargain. Since I like timelines, I’ll illustrate it this way. I agreed assuming he was blowing bubbles again. All the more rope to clothesline himself with. Is it possible that I can call you this morning to discuss? 1105 Hrs : After arguing for ten minutes to no avail on several items, I indicated we could settle it back at the CAVC and hung up on him. 1231 Hrs: Incoming new email proposal including most all of what I sought except for a workable portapotty that didn’t require ‘bag and tag’ capabilities. I had no desire to “scoop the poop” and haul it off-site for disposal. I had previously suggested the eco-friendly incinerator for $3,950.00 or a nice composting model for $1795.00 (installation not included) and was laughed right out of the future greenhouse. Again, I demurred and told him to sharpen the pencil. 1335 Hrs: Composting toilet approved. He was hot to trot on an immediate verbal concurrence. Sensing a cave in at any moment, I then decided to throw sand in the gears. 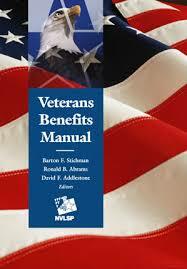 But sir, what of my request for a Lexis Nexis Veterans Benefits Manual (VBM) with CD for two years. I put in for it in April and have heard nothing but “It has nothing to do with a greenhouse ILP.” Do tell. Is the VBM included as part of our “bargain”? No dice. 1505 Hrs: VBM is included for two years. Whereupon I decided to go out on the little branches to see how much they would support me. I said the deal was good but absent any propane to heat the greenhouse, the offer was null and void. I also wanted nutrients and a teacher to instruct me in the mysteries of hydroponics and the care and feeding of my new greenhouse. It was carefully explained to me that this was forbidden as a matter of policy in M28 R. It took me almost a minute to explain the concept of VA law that says the rules and regulation in effect at the filing of the claim are for application unless a newer more generous interpretation is promulgated in the interim before a successful appeal. My ILP claim for a greenhouse in 2011 preceded the March 31st, 2014 issuance of the M28 R ergo propane and nutrients were for application. Mr. Poohbah politely said in a cracked voice that, were it in his power to do so, he’d buy two years worth but it was never going to happen. Hasta la vista baby. See you in Court. 1622 Hrs. Highest and best offer arrived with eight minutes to doomsday. Roger on 90 days of propane and 90 days of nutrients and a hydromeister for learning the care and feeding of the greenhouse. All systems go. My parting comments were brief. I pointed out: “Excellent. Now see how easy this was and how we accomplished more in less than eight hours than we have in the last year? I asked if he felt this was rather painless and productive. He pretended not to hear. I explained that with my new VA Agent status, we would be doing a lot of ILP business in the future and how I hoped this had been an instructive learning experience that would aid us both greatly because I was not going to dry up and compost like the poop in my future waterless closet. I do wish we had used Skype because I’m sure a shudder must have riven his body from stem to stern. •20’ x 28’ x 12’ Heated Greenhouse with Louvers and Temperature control system. To include ADA height tables, ADA access- 2 ea. doors, ADA aisle way access, lights and growing lights as necessary, thicker UV-resistant poly-carbonate material to block damaging sun exposure. • Orientation training on Hydroponic system, short term. • Rubber mats to cover concrete for falls in greenhouse. • Port-a-potty – as reasonable and realistic composting model with 120VAC ventilator fan to outdoors and urine diversion to same. I.L. services would allow you to pursue your greenhouse avocational activities that you are currently limited in performing. 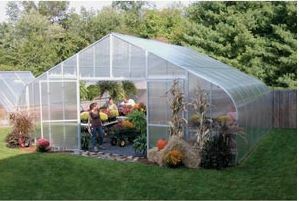 A greenhouse 20’ x 28’x 12” would allow you exponentially produce crops year round. You currently have limited access to current greenhouse egress, and W/C access. Due to your sun sensitivity, VR&E will provide thicker UV Poly-carbonate material. Also due to your lifting limitations, VR&E will provide a Hydroponic system. A Licensed contractor will oversee all work to determine Code requirements provided by GSA. Based upon M28R. Pt IV, Sec. C, Ch 9.05, (b) (6). The individual must have the ability and resources to sustain the activity or pursue after the period of rehabilitation services are completed”. The Veteran must be able to incur the cost of sustaining services or it is not reasonably feasible in achieving his I.L. goal. I guess I plum forgot to tell them I have a well and no water bill. Come to think of it, I do believe I disremembered that the Insurance agent said with the number of outbuildings and barns etc. already on the property that there would be no appreciable increase in my insurance coverage. As for the electricity, well, you always have to be willing to compromise. I call that ‘reaching out to VA’. And as for seeds, I wonder if they realize you get about a gazillion more seeds than you have acreage to plant them on for a buck eighty nine? I do hope my five and one half year Odyssey to attain this ILP will benefit all of you. Each and every facet is easily transferable to your circumstances. As I demonstrated by my continuing demands being met Friday after being told repeatedly the regulations forbid it, each and every one of you can ask for the very same thing or let your imagination run wild. Run, Forest. Run! Statutes and regulations-especially vague ones that offer no guidance or clarity- are meant to be challenged. With no leg to stand on and no support from said regulations, VA can only grant your wishes and cry in their beer afterwards. Speaking of beer, I was thinking about asking for a beer refer in the greenhouse. Bruce Almighty, our greenhousemeister, tells me hydroponics, like politicking, is thirsty work. I’ll hit the Poohbah with that next week when I ask for the Bluetooth™ connection to access the hydroponic computers while I’m in San Antonio for the NOVA conference next spring. Maybe some Video surveillance cameras to watch stuff grow. I’ll keep you posted on construction. News and film every evening at six during high season. Hot damn. Hot damn. Hot damn. This is more fun than calling in nape on a TIC. 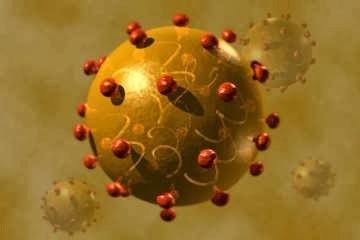 This entry was posted in Independent Living Program, KP Veterans, VR&E and tagged ASKNOD BOOK, asknod@wordpress.com, Disabled Veteran, DIY vA Claims, Gulf War Vets Help, HCVETS, Help with vA Claims, Helping Veterans, Korean War Vets Help, Service Connection, VA claims, VA HCV Claims Help, VA Independent Living Program, Veterans Benefits, Veterans claims help, Vietnam Veterans Claims Help.. Bookmark the permalink. Alex, I was curious how this turned out and went-a-searching on your website for an update. I am very happy to hear that you are done with this battle. When do they begin construction of your new shiny greenhouse complete with executive bathroom? The VR&E boys had to gin up a new contract to figure out how many shekels it was. Then they have to get the production manager and the designated Davis Bacon Union contract written. Then the winning bid contractor gets his production permit. Someone has to pull a bldg. permit on it. Then the the concrete crew comes in for the slab and sets the anchors. Lastly, they erect the structure and set up the indoor loo and the hydroponics/lighting and fall protection mats. I figure if I’m lucky this will all be done by August. I’m still waiting for early phase of a designated prod. supervisor to pound the stakes signifying where to plant the structure. Short answer is it’s anyone’s guess when it will happen. It is, however, in the pipeline now and no longer a fig newton of the imagination. Trust me, all will know when the first shovel of earth is turned. We agree with all of the sentiments offered here so far and are thrilled that the VBA has actually been forced to follow the IL program rules and the law. Bravo! I can’t even begin to express how much more hopeful I am that vets will start to get a few of the things they need as Congress intended. Not just in your region but nationwide. What gets me about all this is you seem to have unlimited communication with VA employees at the drop of a hat. I have an appeal sitting in St Pete that is 950 days old and has never been looked at. I cant move on to a BVA que because they wont send me a SOC & Form 9. All my communications are answered with typical IRIS BS cut-and-paste meaningless answers. Mike, once you become a VA practitioner , you quit using IRIS and the 800-827-1000 Prize redemption line. You call the RO director, express your dissatisfaction and ask them to have the a) Appeals Team Coach contact you; b) the fee coordinator find out what happened to your check; or c) ask the head of the VARO security to get on it pronto to see a c-file. I asked for one Vet’s file on the 30th of September. I got the CD in the mail yesterday. It seems it’s not so much who you know but who you are. VA views a Vet with a VFW representative a chump because the VFW dude hasn’t a clue what he’s doing. I also have a proactive Congressman who works with me on Vet issues constantly. The combination seems to motivate the Seattle office. Keep in mind I’ve been doing this proactively since 2007. I’m sure they have my picture on a dartboard on the 11th floor by now. My advice to all of you is if you hit that wall with a claim, get a VA attorney or a good agent to take your case. Not all of them will given the circumstances and posture of the appeal. I, for instance, won’t do Sleep apnea or PTSD unless it’s for a friend. 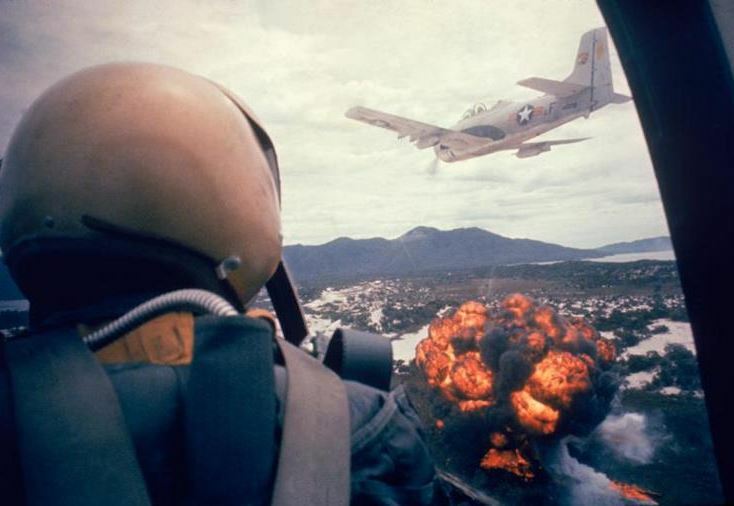 I focus on SMC and Vietnam issues like Agent Orange. I’d prefer to be a master of one or two fields than a Jack of all of them. Best of luck, sir. Thanks Alex….Mine is AO disputed…wanna take it? Boy howdy, I would but there are about 49 guys/gals in front of you currently. If I can dig out, you’re on. Awesome news! Way to go Mr. Graham. Can I get My Motorcycle Shop on the side of my House it sure is Hard being 160% disabled wrenching out of my Small Tuff Shed, I would like to build some more bikes that I can sell and use the money to help Vets with Depression go Riding. Well now, that sounded like lots of fun (not)! But seriously, thanks for reminding us that with dedication, perseverance & unwaivering confidence, it is possible to say “all’s well that ends well”. Congratulations on your victory, that was shamelessly and unnecessarily delayed. Thanks for teaching and encouraging your charges all these years. You have my word on it sir.